The Membership of Listco Professional Development Programme “ListcoPRO” is open to all person who wish to enjoy high quality of professional development in listed company’s practice. 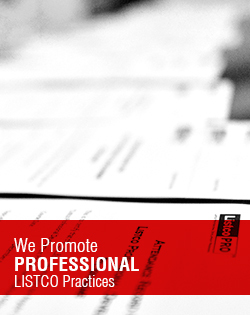 All applicants for ListcoPRO membership must agree to the membership terms and conditions. “2019 ListcoPRO Premium Membership, HKD3,000 on or before 30 June 2019"
Each annual pass entitled free access to all regular Listco CPD Trainings in 2019 for one nominated person. Enjoy the member rate or other benefits on non-regular Listco CPD Trainings (non-regular individual courses, special events & forums) during 2019. For Corporate Membership, enjoy the member rate on any second enrollment who is not the annual pass holder(s). Guarantee seats on regular Listco CPD trainings’ enrollments. Guarantee seats on special events’ enrollments. For Corporate member, 10% discount on in-house directors’ training to the company. ** The no. of regular CPD trainings in each year varies from time to time depending on the availability of the speakers and venues. Under normal circumstances, the no. of regular CPD trainings is more than 12 ( 24 CPD hours) in each year. All Membership are valid for full calendar year of 2019 and non refundable. The above offers can not be combined. ListcoPRO reserves the right for final acceptance for membership application and each enrollment of courses. Listco CPD Trainings are subject to the availability of speakers and venues. ListcoPRO reserves the right to make any changes to the events without any prior notice. Individual Membership is not transferable. Each annual pass is entitled to one seat with free access to all regular Listco CPD Trainings in 2019. Corporate Membership is only for listed companies. Under Corporate Membership, annual pass is transferable between staff of the corporate member. Each Premium Member is eligible to subscribe to a maximum of 5 annual passes under normal circumstances.